Hidden Gem! This charming 3/2 mobile home offers a one of a kind, custom artwork along the front cabinet on living room side continuing to the back splash in kitchen. 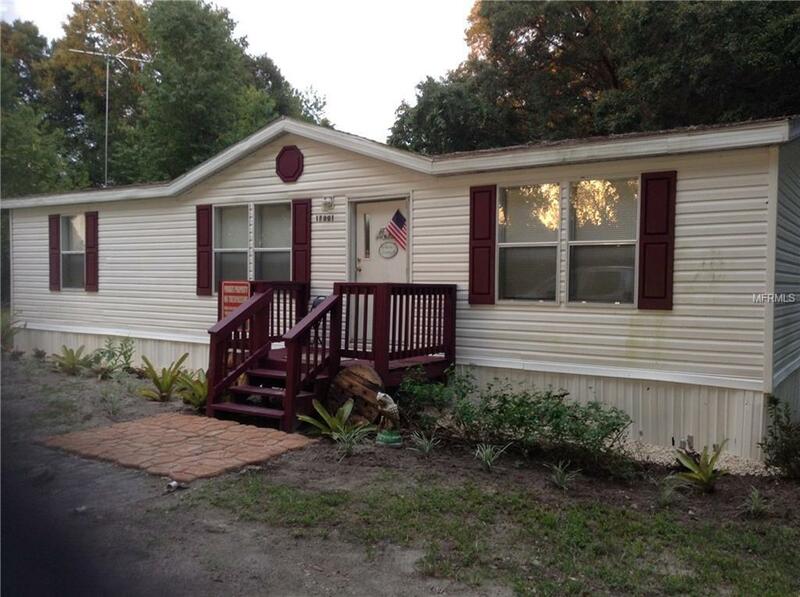 Located just minutes from entertainment - with The Villages and the Orange Blossom Opry a short distance away is this secluded cozy hide away! If you need room for your RV - no worries, there's plenty of room and a full hook with Electric and sewer on the left side of the house. Outside you'll enjoy the peace and serenity in this must see home. It won't last! Call today to schedule a tour. Listing provided courtesy of Invictus Real Estate Llc.